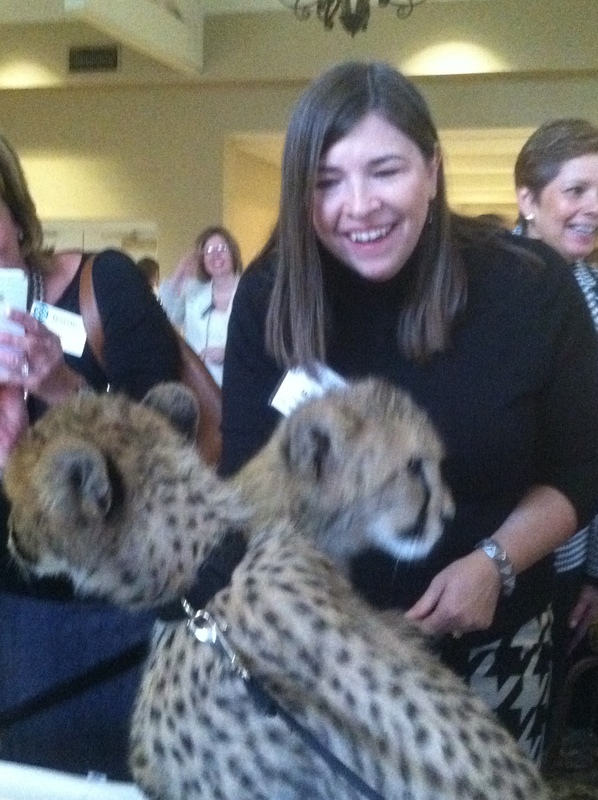 Yes, this is me with two baby cheetahs! I attended the National Association of Women Business Owners luncheon a few days ago where the guest speaker was Suzi Hanna, wife of Jack Hanna of the Columbus Zoo. She brought with her not only a leopard, a penguin and a bearcat, but also these adorable baby cheetahs! We were able to pet them, and they just hung out surrounded by people, no worries! Hearing Suzi speak on her experiences was also amazing! She doesn’t do much public speaking (even though she and Jack have a television show that airs nationally), so this was a rare treat. Her stories were inspirational, and even more importantly for a speaker, she was FUNNY! Hopefully, she’ll be inspired by the response she received to get out and do more public speaking gigs!